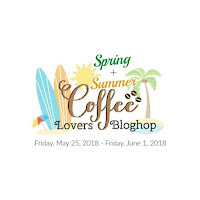 Since the Spring/Summer Coffee Lover's blog hop is going on right now, I decided to feature an old, but beautiful digital stamp set from Graciellie Designs. I love the elegance of this image and decided to try creating a card with somewhat of a vintage feel to it. BTW - all of Gracie's Etsy store is 50% this month, but you'd better hurry today's the last day of the sale! Gorgeousness! Love the Monochromatic feel on it with a subtle stencilling work and awesome layers, I can smell the coffee! Super pretty Ester. Lovely work with that image. This is so soft and romantic feeling, Esther. LOVE it! 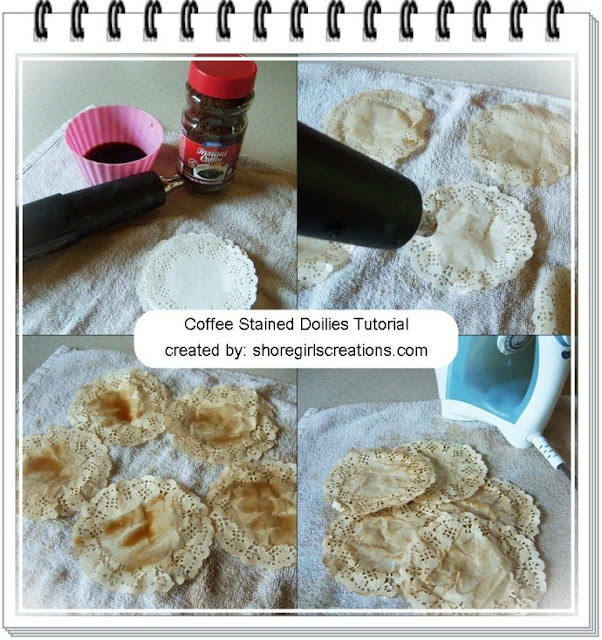 And thanks for the tea-stained doily tip. So gorgeous and I love the distressed look. Your card is one of my favorites from the hop. Love the coffee dyed doilies. It gives your car such a great vintage look. Awesome and elegant card! Wow! Love the gorgeous rose on the tea cup, great vintage feel, neat idea to coffee stain the doily, great touch! Great softness with the stencil! This is beautiful ... that image.. the design and that doily! Thanks so much for the tutorial.. I do believe I"ll give this a try tomorrow! its so very beautiful card. Lovely card! I especially like that bow. Thanks for joining us at Little Red Wagon. Esther what a great coffee lover's card; I bet it even smells good to a coffee lover! I love your stenciled background and how you've colored that rose. And I'm delighted to see you've shared this with us at Frilly and Funkie in our Layers of Laces challenge! Hugs! What a stunning card....love the vintage feel to it and the pretty colors in the cup! 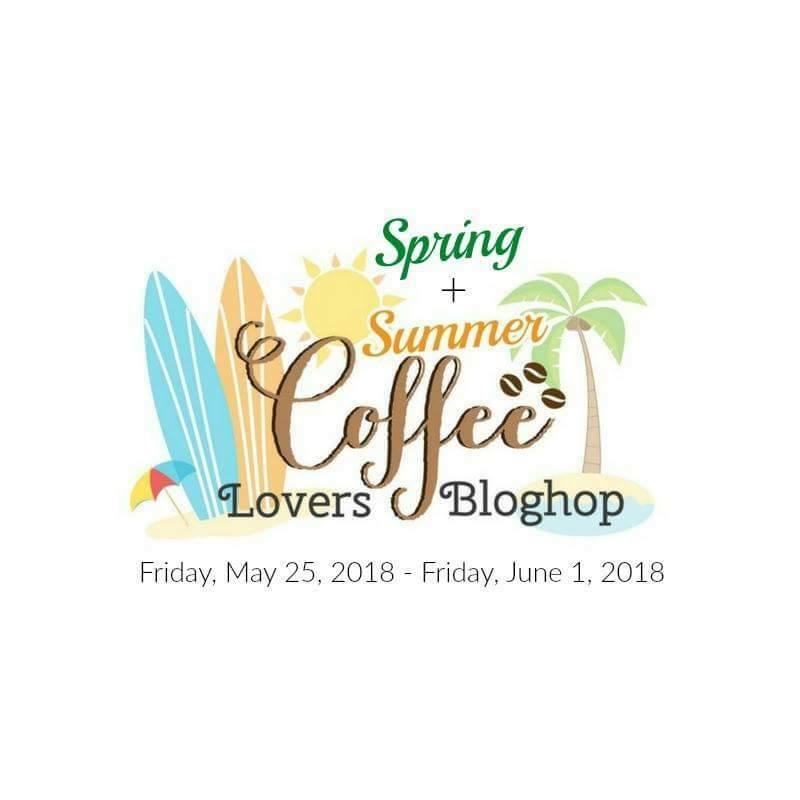 So glad you joined our create your own background challenge at Tuesday Throwdown! What a sweet card. Love the vintage image and that fabulous lacy die cut strip in the background. Thanks for joining us at Frilly and Funkie. Me, too! Yippee! Have fun SHOPPING!